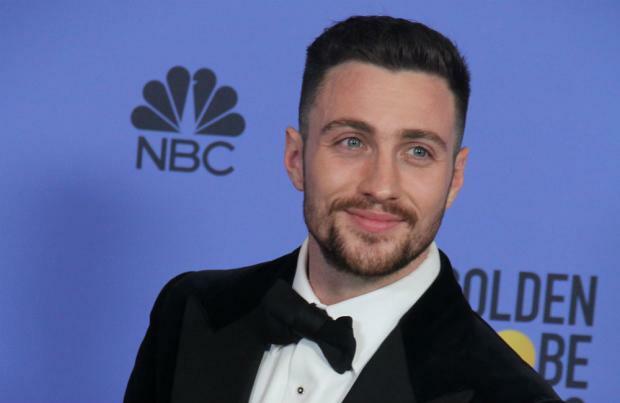 Aaron Taylor-Johnson has got nothing but praise for WWE Superstar John Cena, his co-star in 'The Wall', describing the wrestler-turned-actor as a "remarkable person"
Aaron Taylor-Johnson says WWE Superstar John Cena is an "incredible" actor. Aaron, 26, is starring alongside the wrestler in the new war film 'The Wall', which follows two soldiers pinned down by an Iraqi sniper with nothing but a crumpling wall between them and their adversaries, and the British actor was blown away by his co-star's many talents. Speaking to Collider, Aaron said: "He's incredible. I don't think anybody can prepare for the expectation of what you think John would be like, but he's a remarkable person. He's very funny and he's very smart. He's intellectual and he's business-minded. He's very professional. He turns up hugely prepared, very gracious and very grateful. I had a great time with him. He's a really nice dude." Aaron also said being part of the movie, which is directed by Doug Liman, was everything he "hoped it to be" and immediately wanted the role after reading the script. He said: "When you read the script you could see, on the page, how physical this would be, but also how psychological it all is. The concept of it, the budget, and what we were going to try to achieve and accomplish was definitely a huge challenge, but knowing that it was going to be Doug Liman was the real go-ahead for me. "That was the exciting thing to be able to be puppeteered through the whole journey by him and with his vision. I felt secure and safe in his hands." 'The Wall' only took 14 days to shoot and the actor didn't want to spend up to three months shooting. He said: "I wouldn't want to spend three months doing that shoot, up against the same wall, but we did it, in and out."